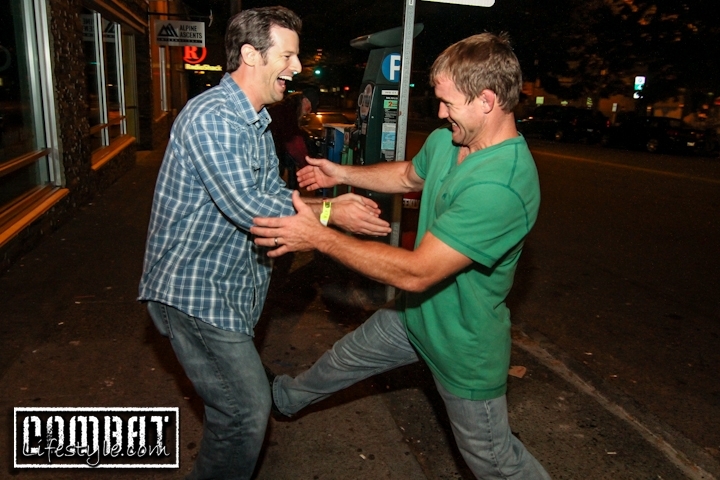 UFC Seattle Aftermath Photo Galleries Are Up! 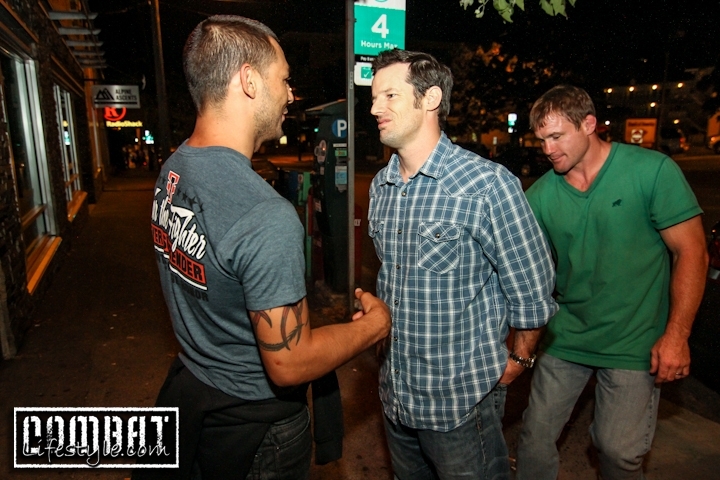 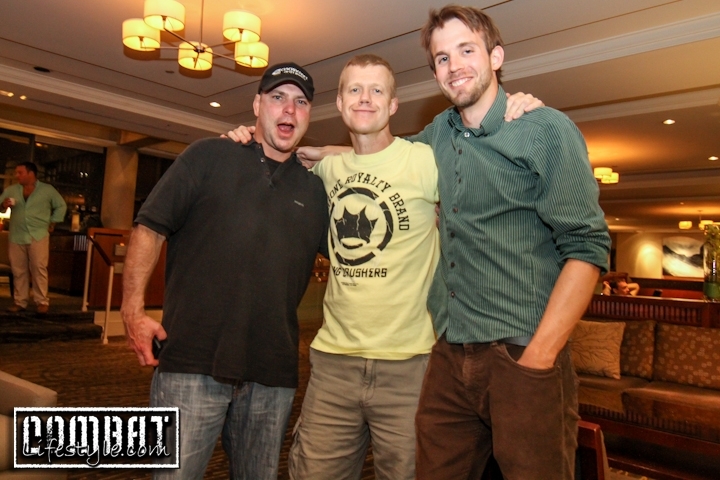 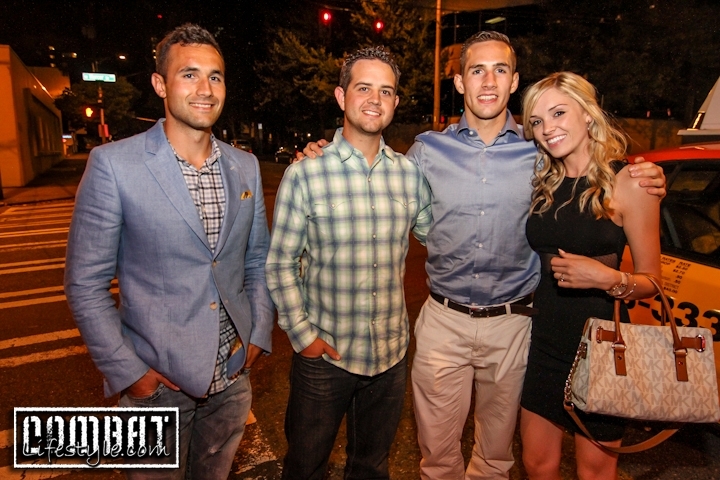 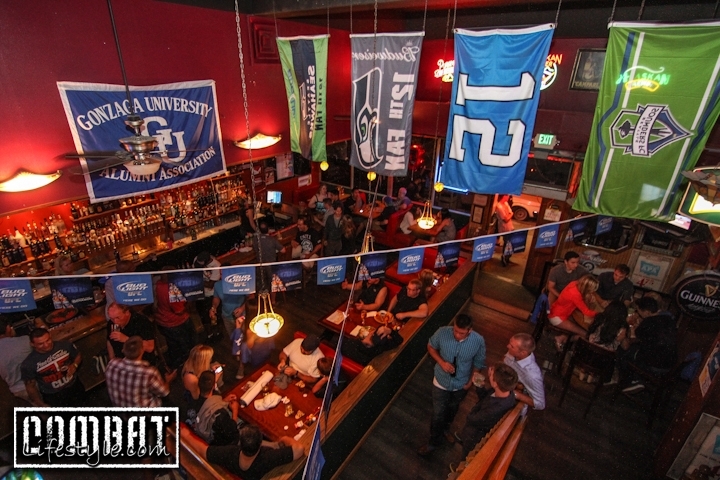 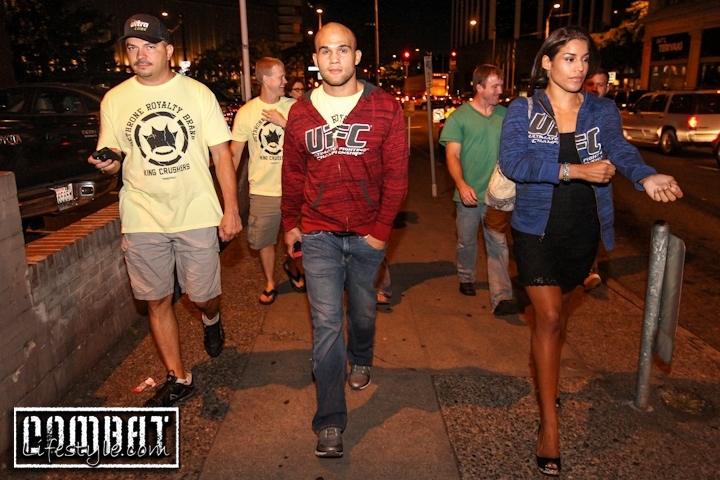 The UFC Seattle Aftermath Photo Galleries are up from our adventures during and after UFC on Fox 8. 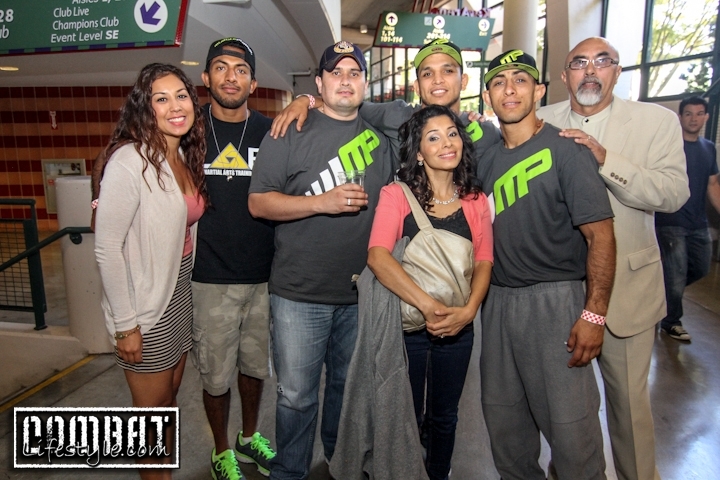 We headed to the arena in time to catch the third fight and made our way around visiting friends in their different seats. 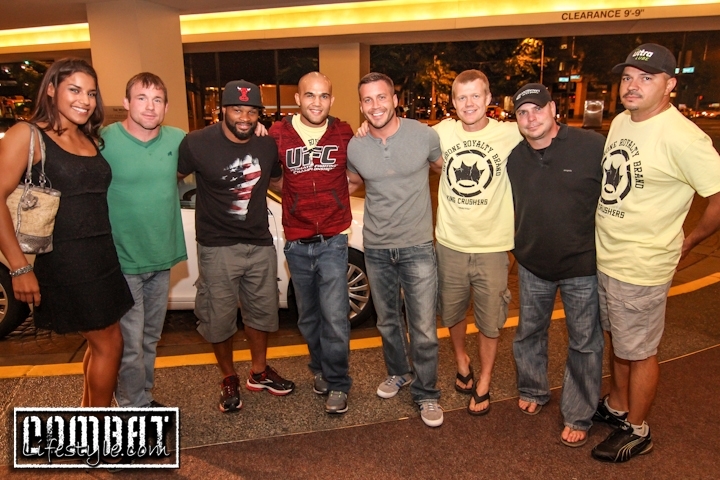 Unfortunately for UFC the fight wasn’t a sell out but it meant it was easier to hang out because there were open seats all over. 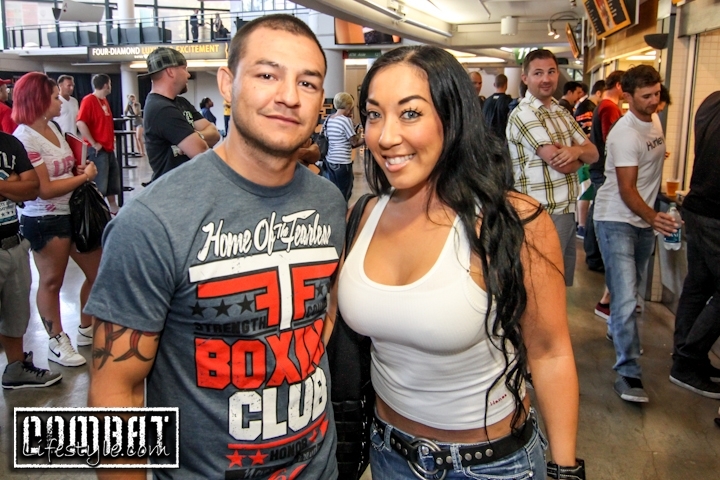 We sat with Jessica Penne and Jordan Mcdonald most of the evening down in the 2nd row off the floor. 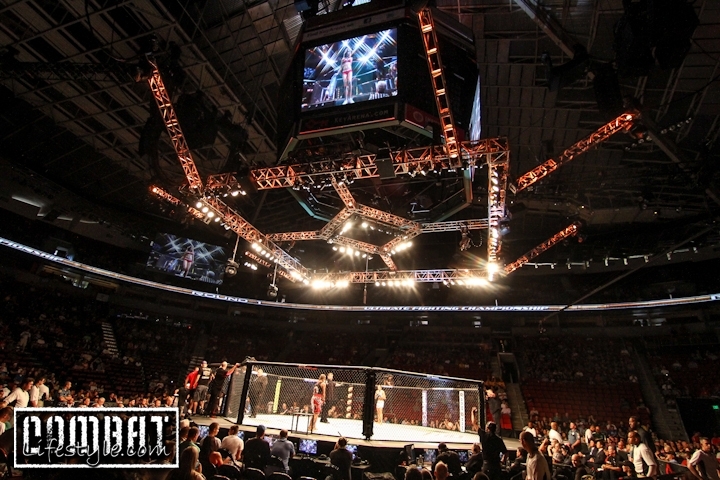 Have to admit that these seats are our favorite as you can see everything! 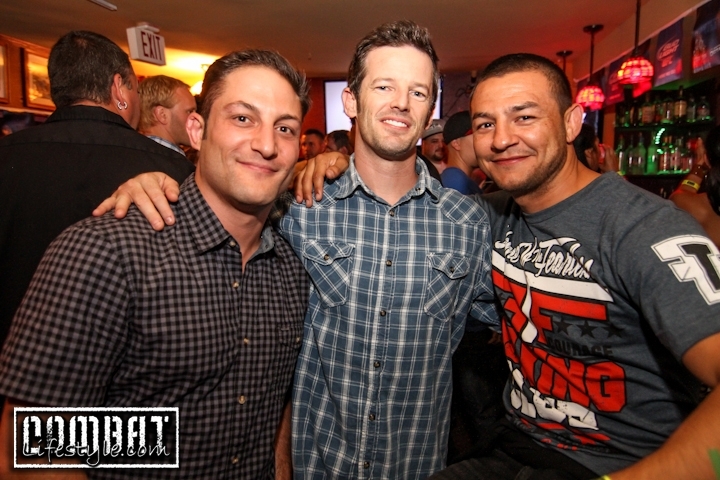 Thank you to Danny Rube and BJ Donohoe for coming through on the tickets! 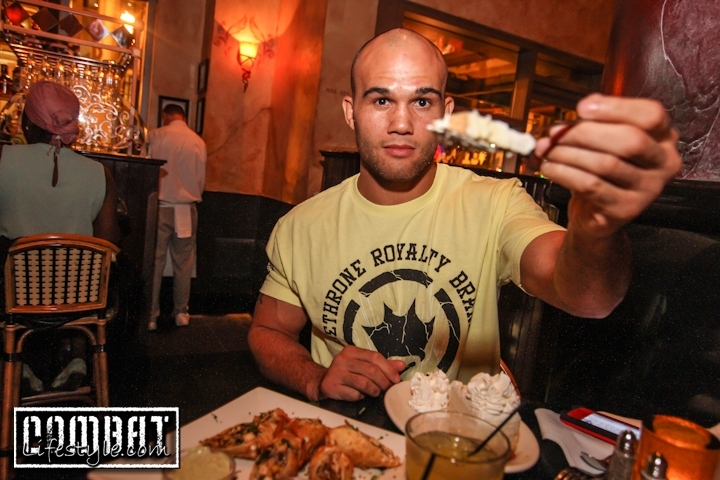 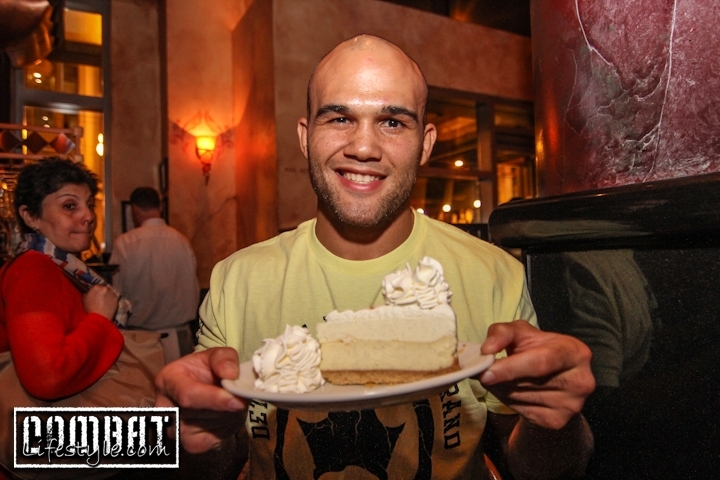 After the fights we met up with Robbie Lawler celebrating at his room and then on to Cheesecake factory where cheesecake was the first thing he ate. 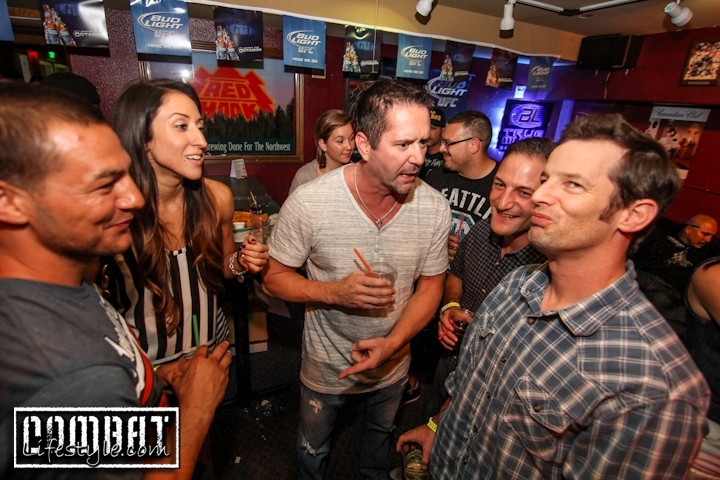 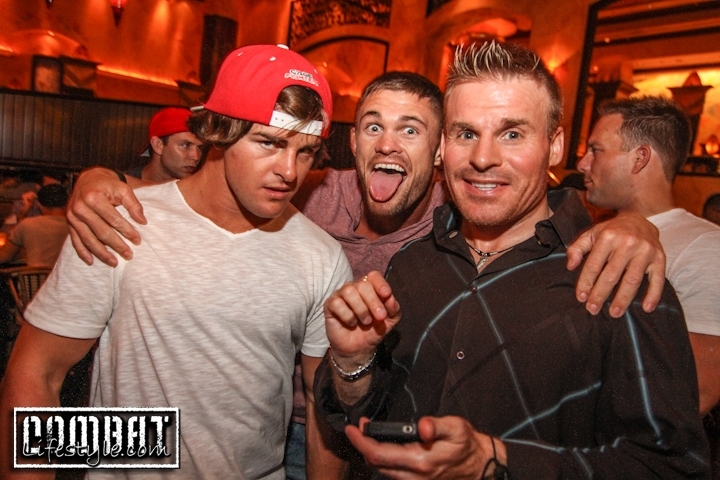 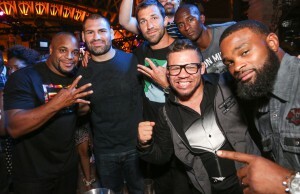 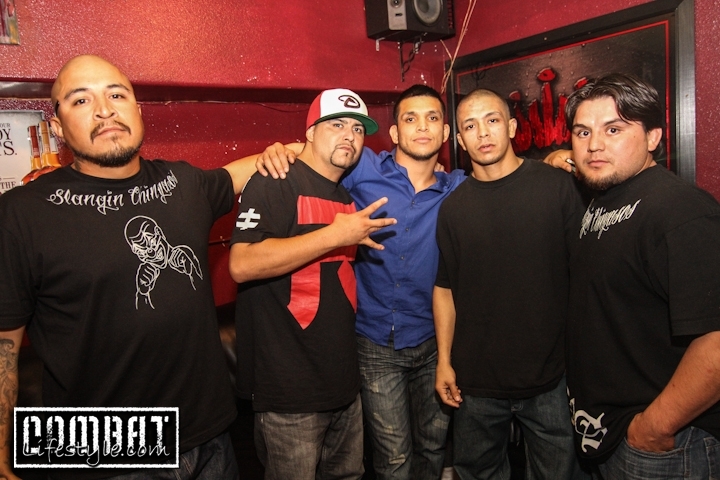 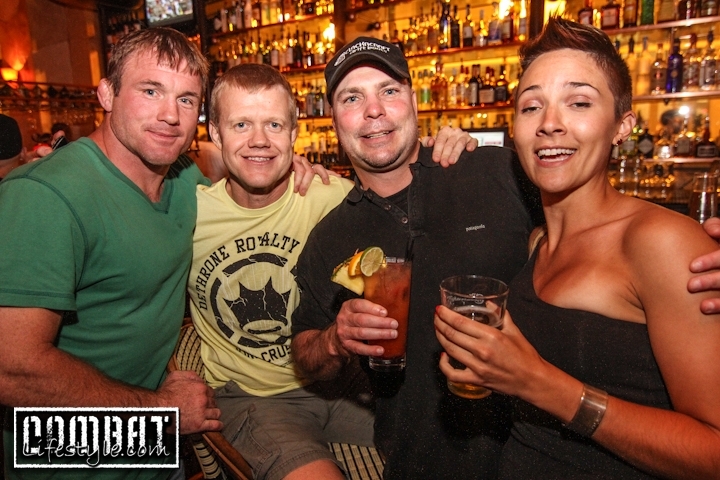 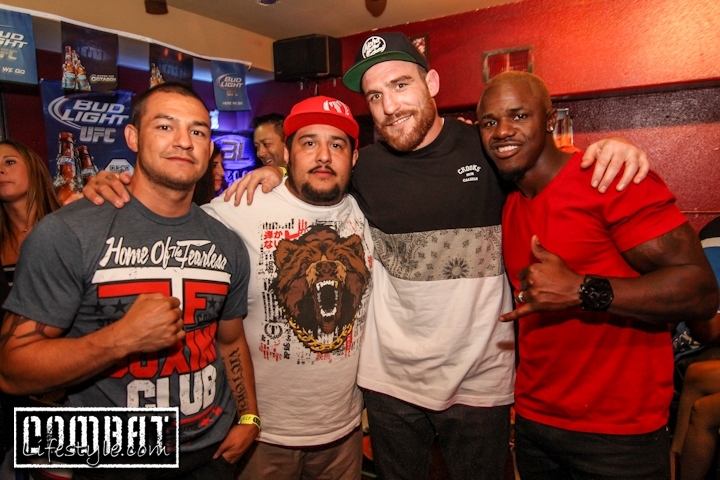 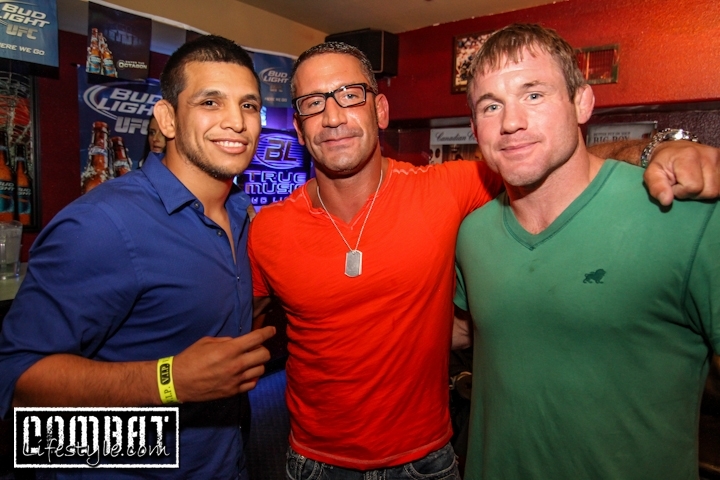 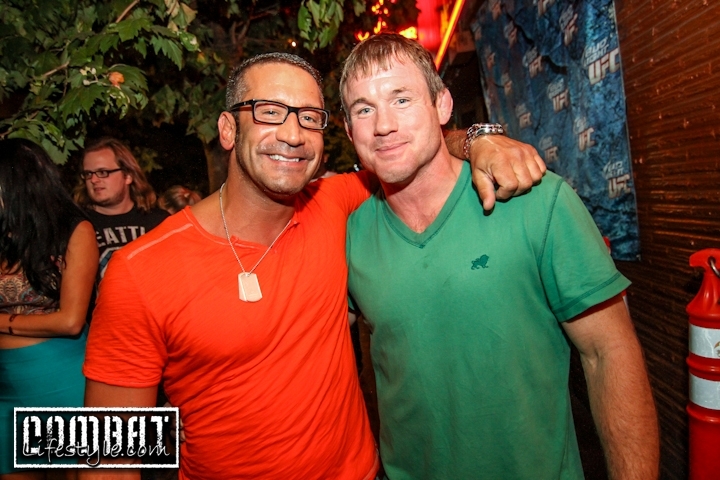 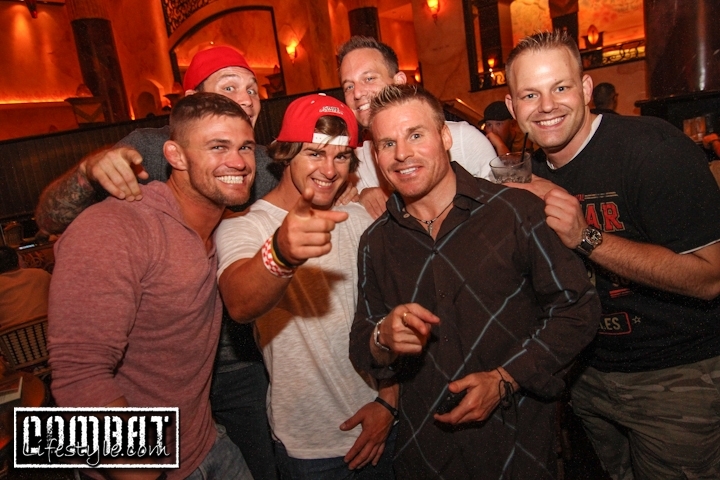 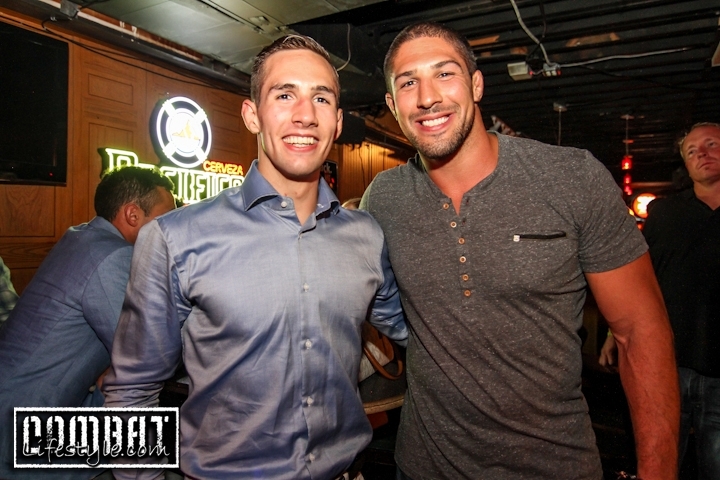 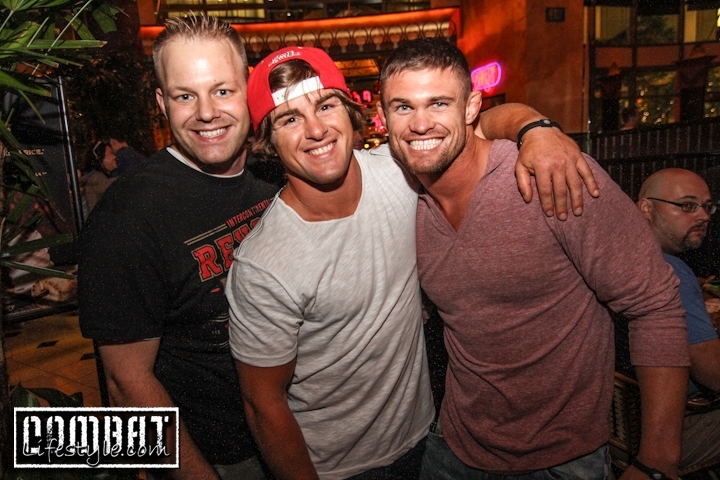 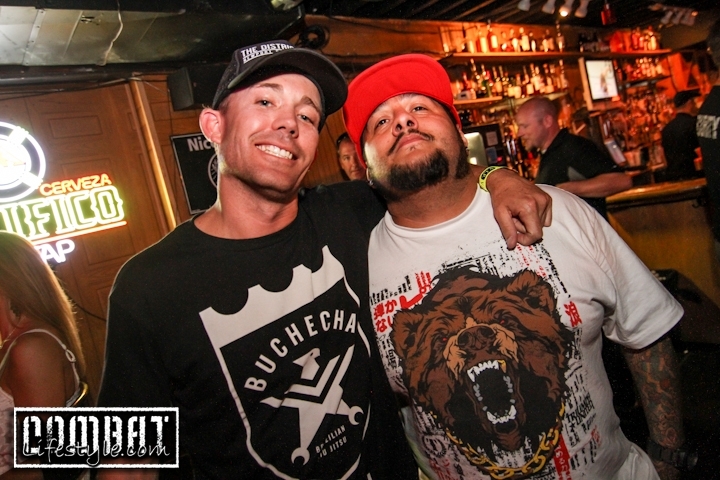 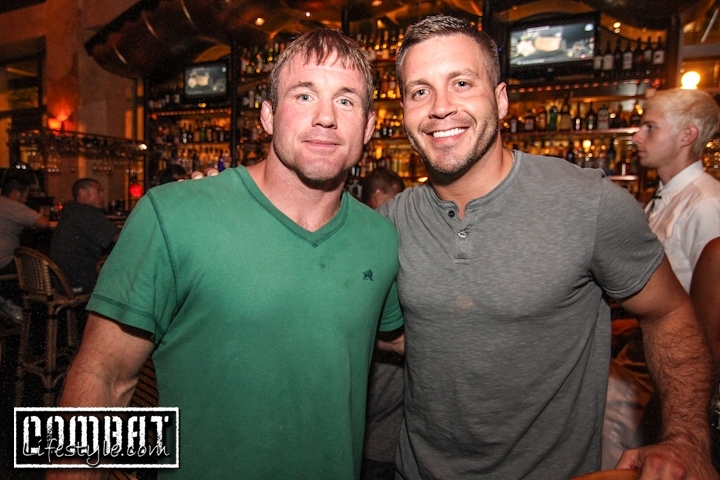 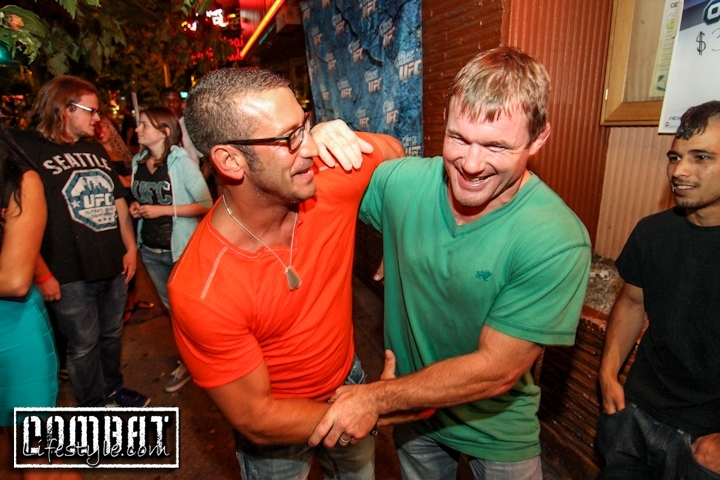 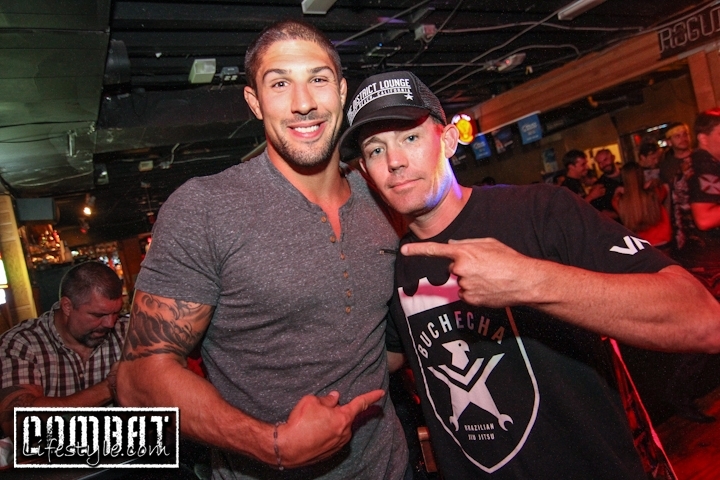 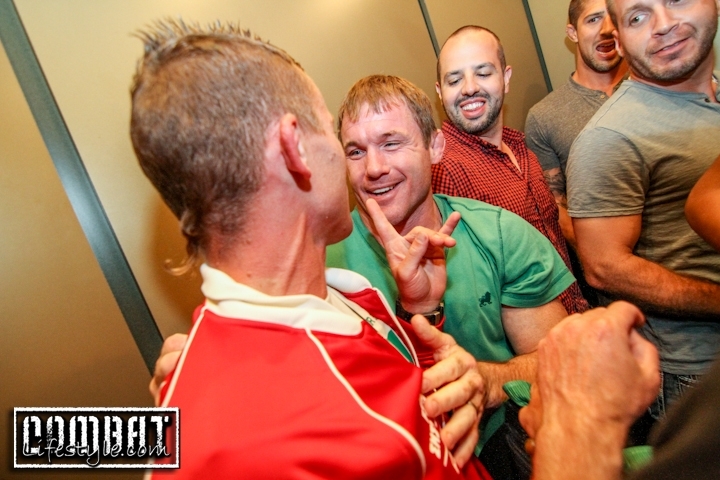 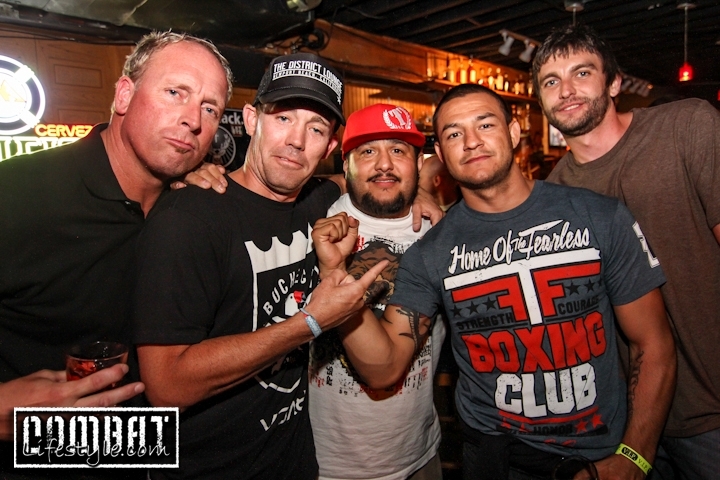 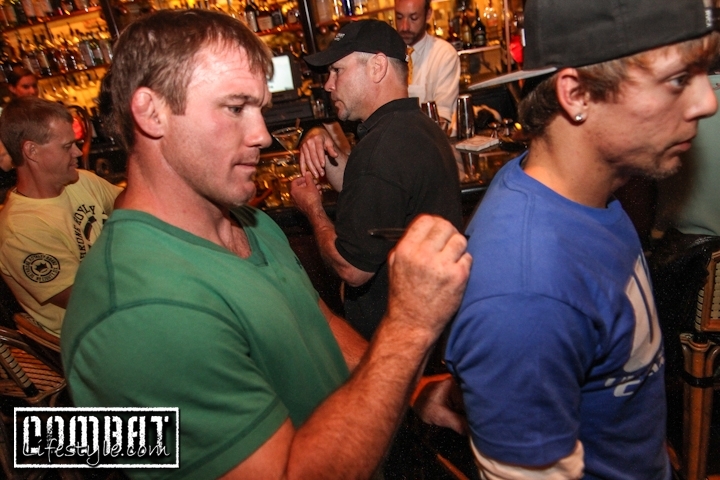 We ran into Daron Cruickshank’s team there and it became an impromptu afterparty. 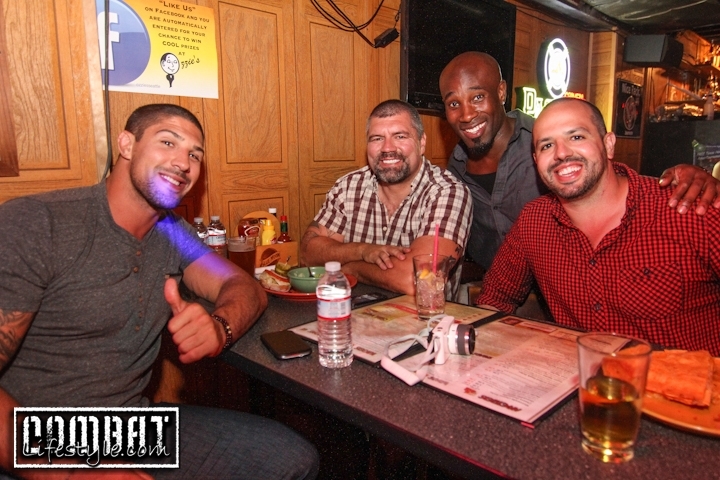 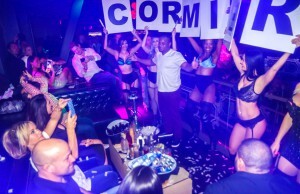 We left them there and continued on to Ozzie’s where Brendan Schaub was cohosting Melvin Guilland and Rory MacDonald’s afterparties. 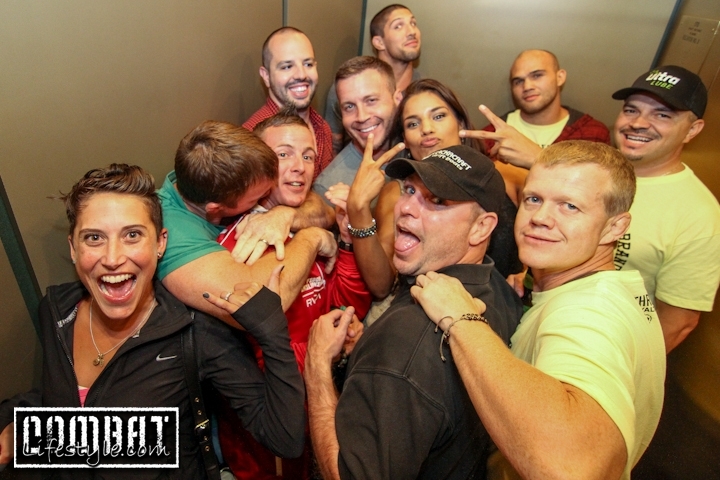 We still had one more stop to make and were getting calls from the other event so we stole Rory’s cab just as he was stepping out of it! 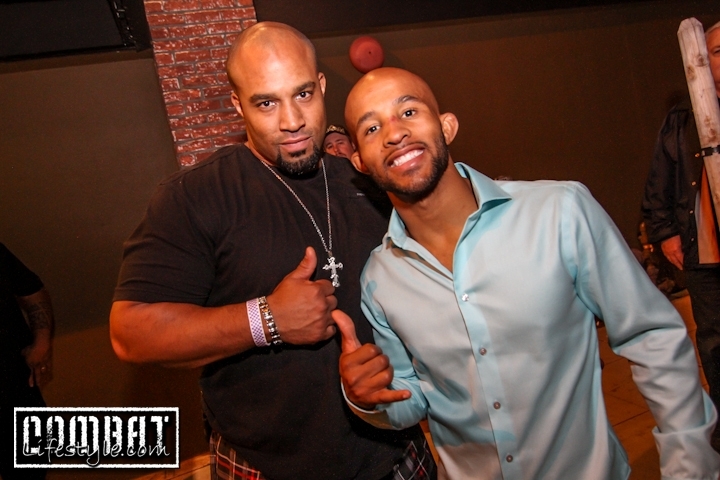 As we arrived at World Sports, we found that everyone was leaving so we didn’t get out of the cab but to our suprise, Mighty Mouse himself, Demetrious Johnson jumped in! 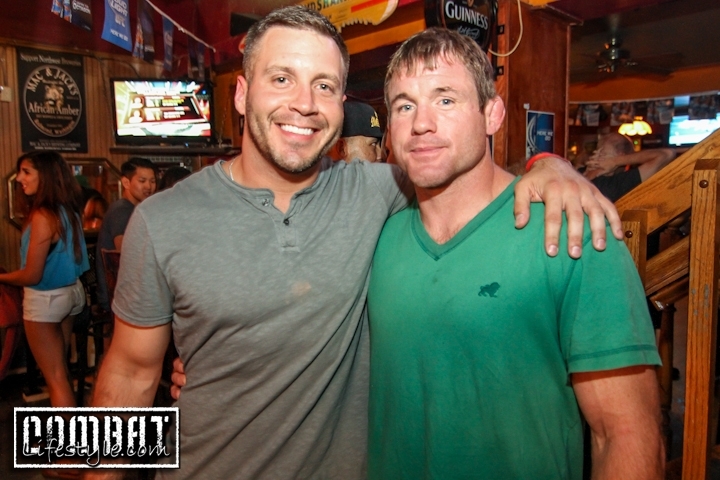 He dropped us back off to Ozzie’s and then he called it a night. 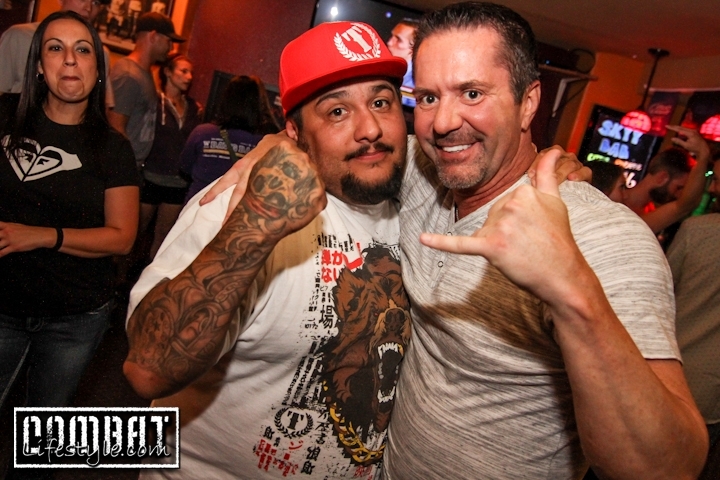 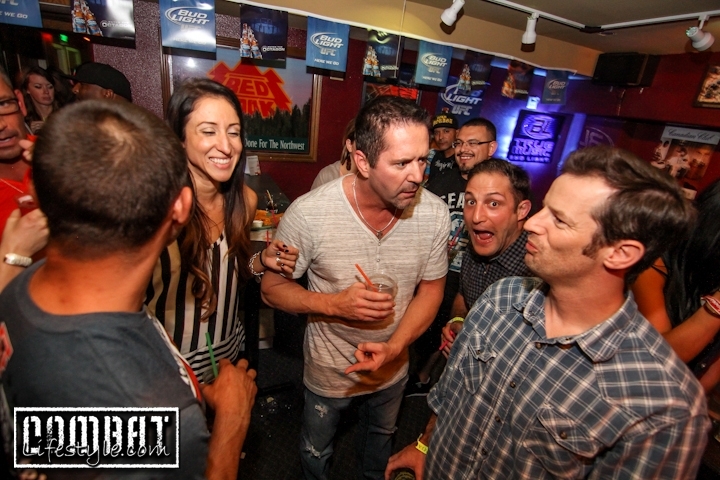 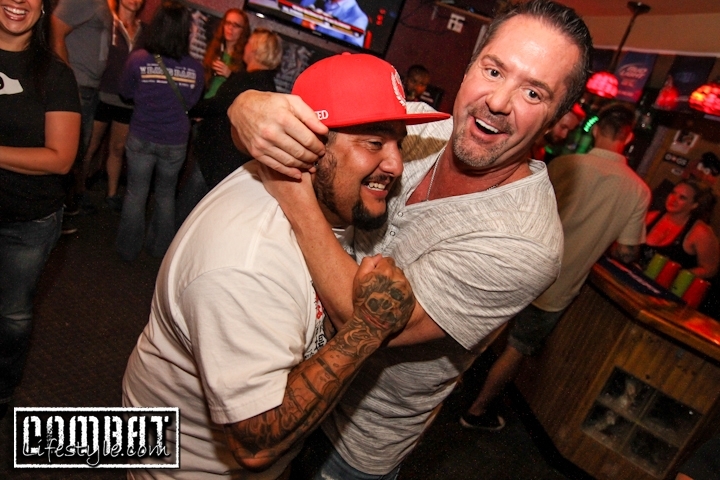 The party at Ozzie’s was still in full swing when we got back and with the help of Mike Goldberg, Sean Shelby, Efrain Escudero, Cub Swanson, John Moraga, Jessica Penne, Mark Dellagrotte, and lots more, we shut the place down!! 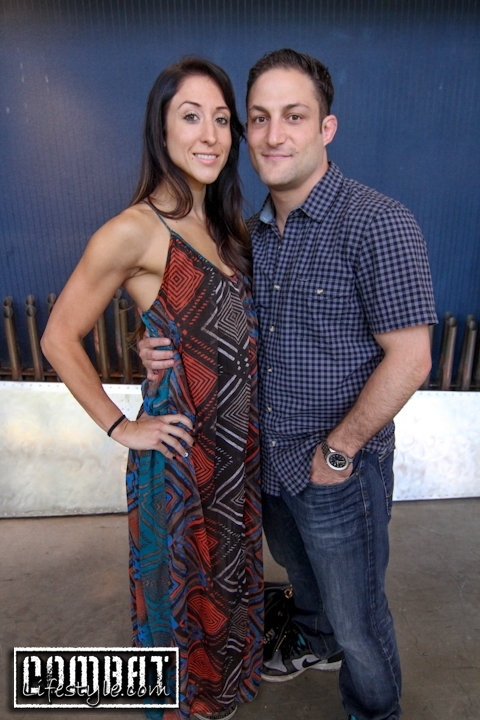 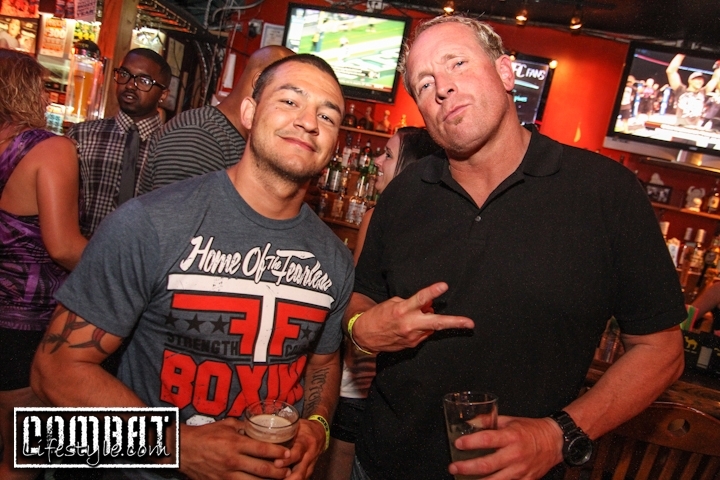 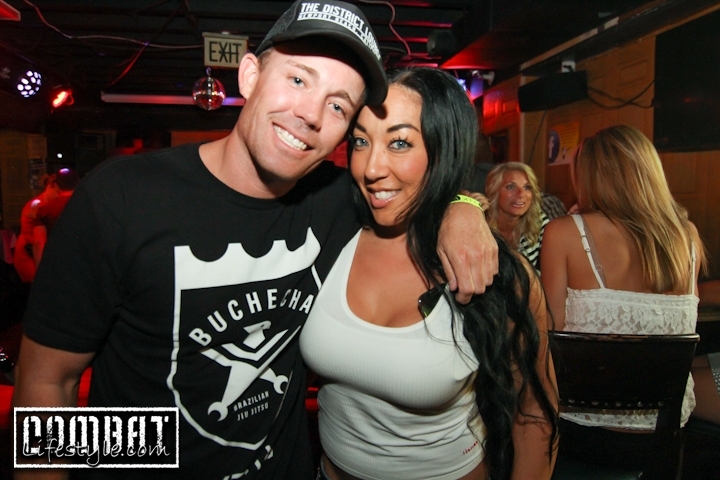 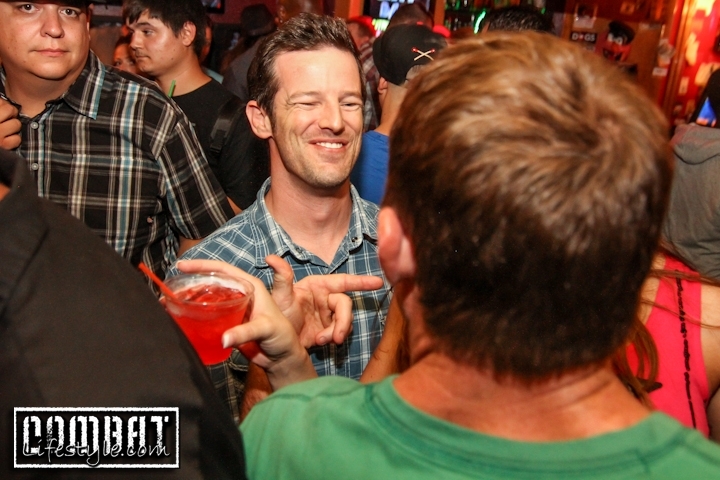 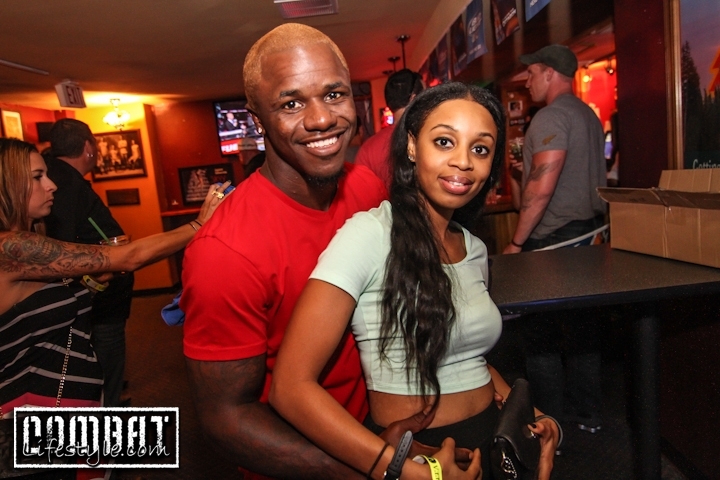 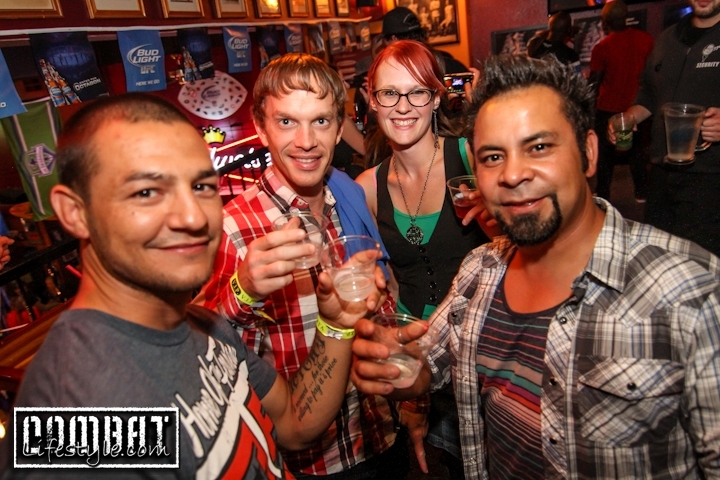 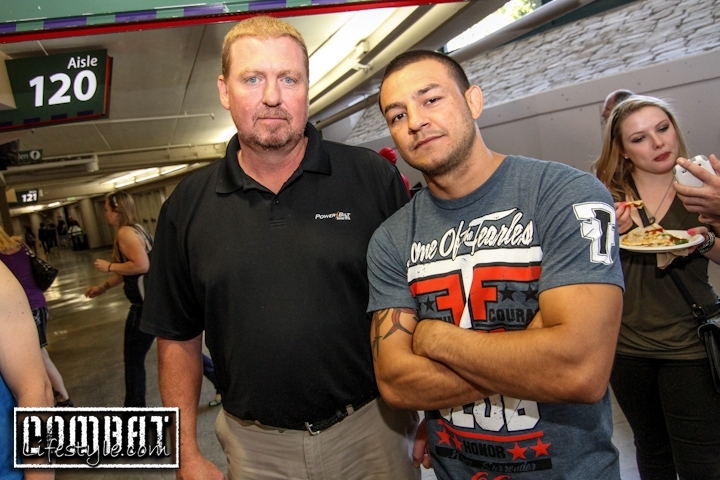 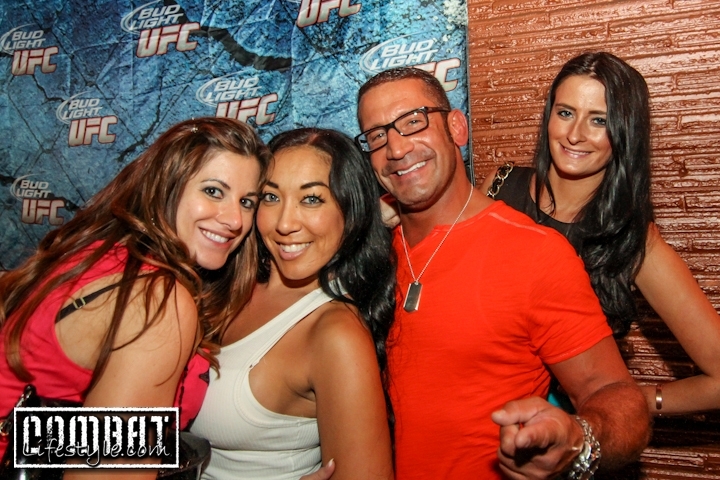 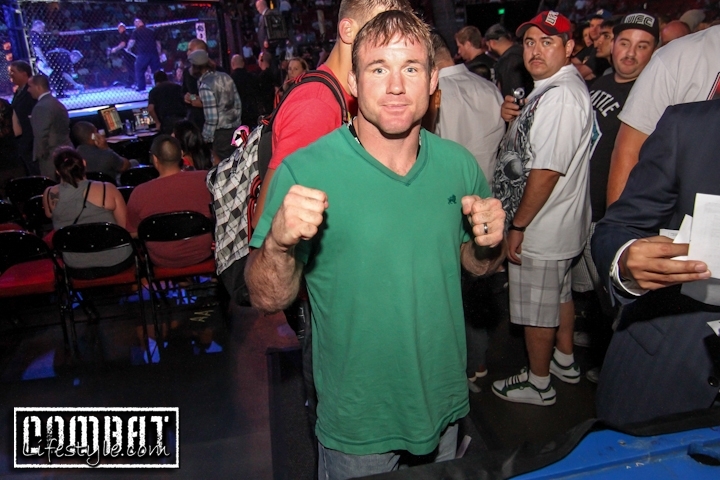 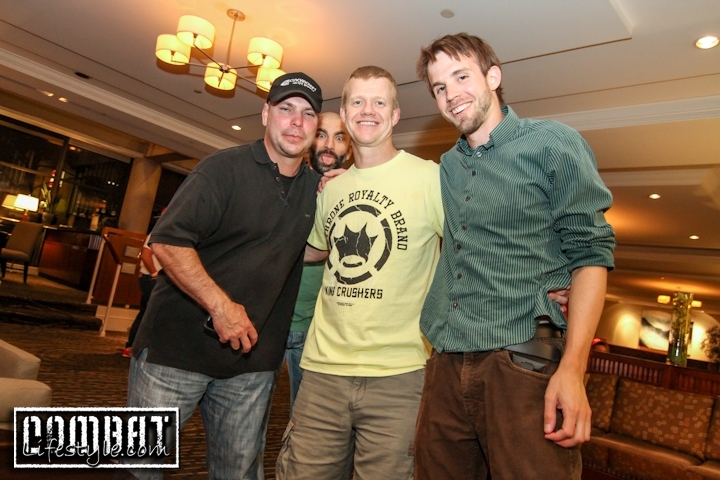 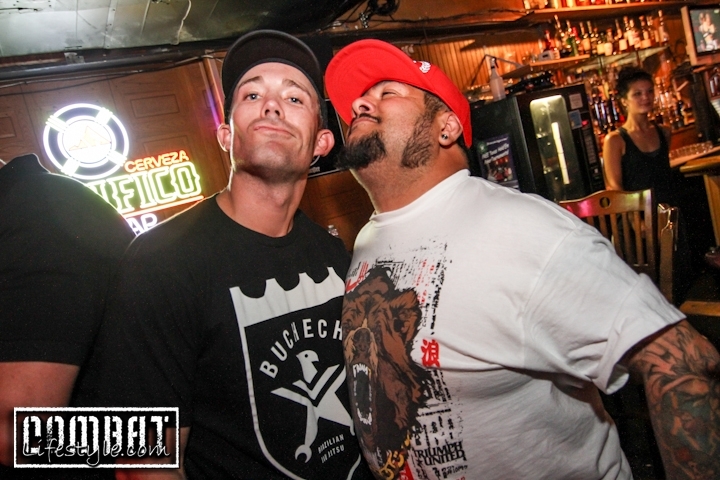 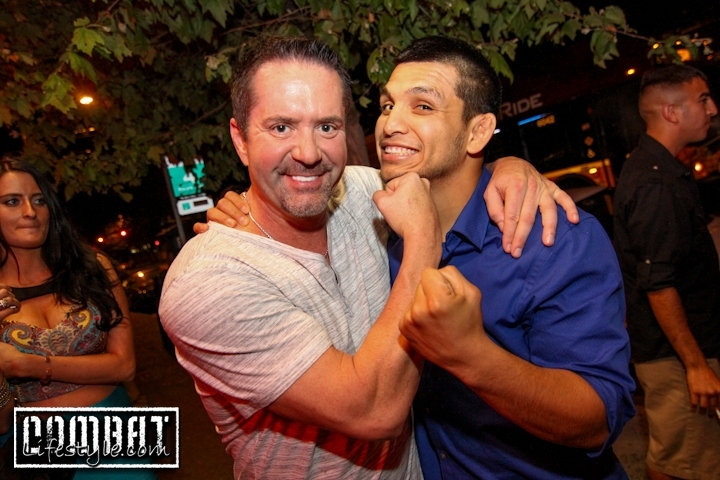 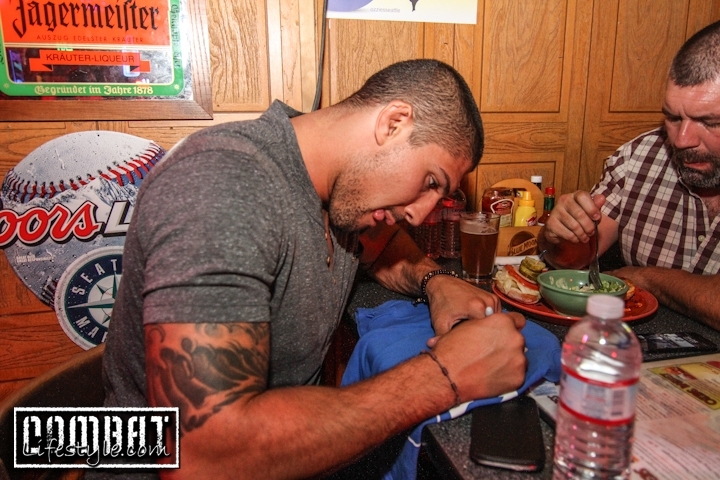 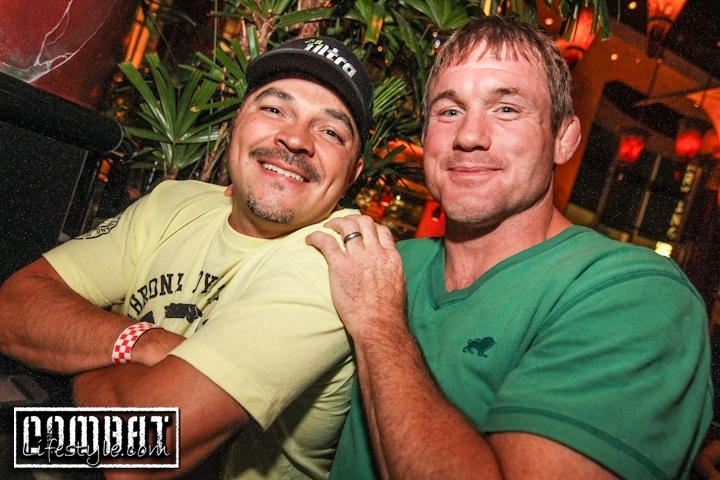 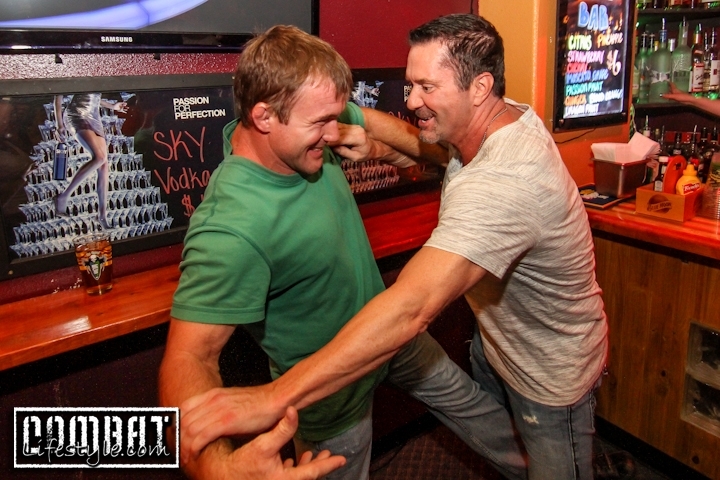 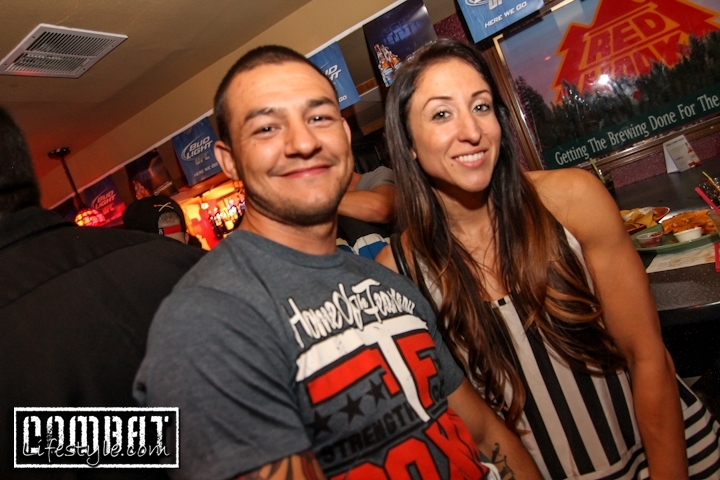 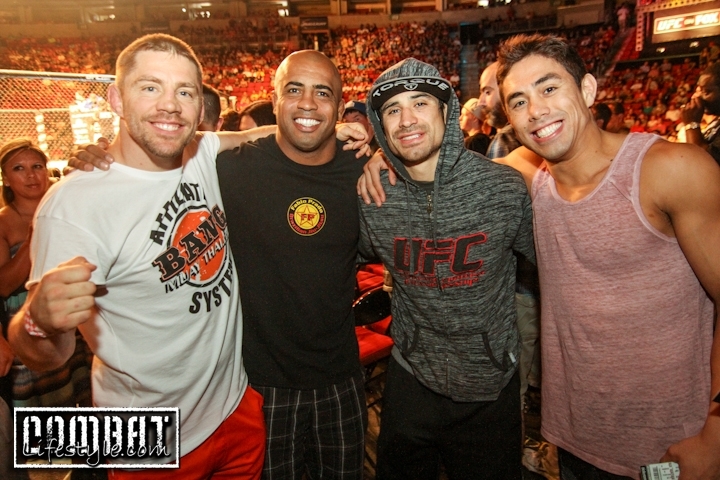 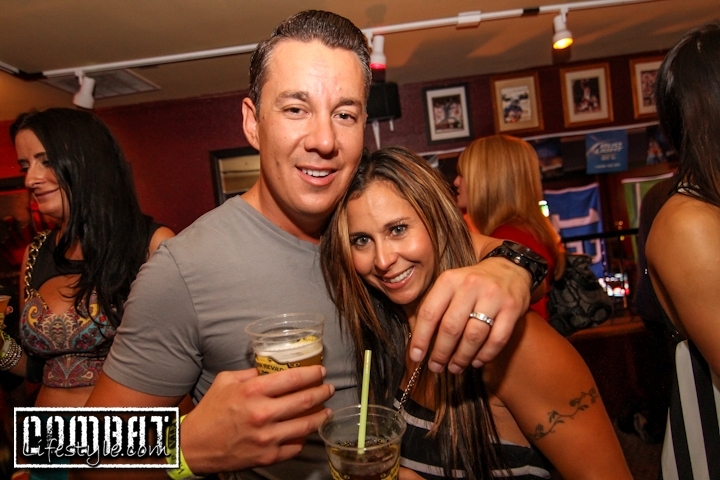 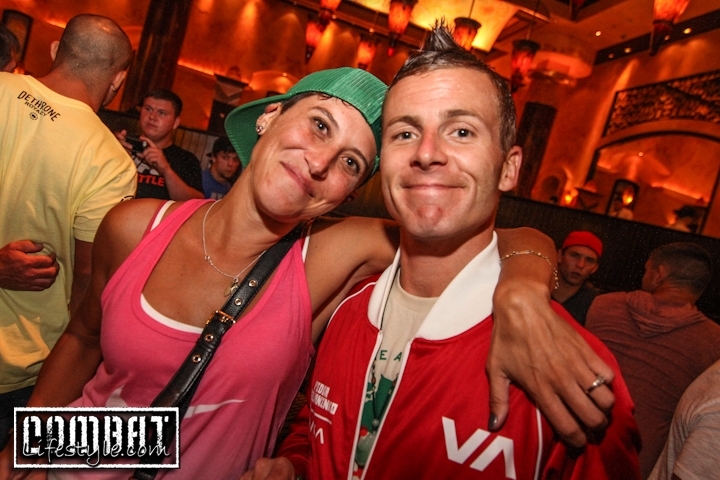 Check out all of our fun photos from the night.. What are your thoughts on the night’s fights? 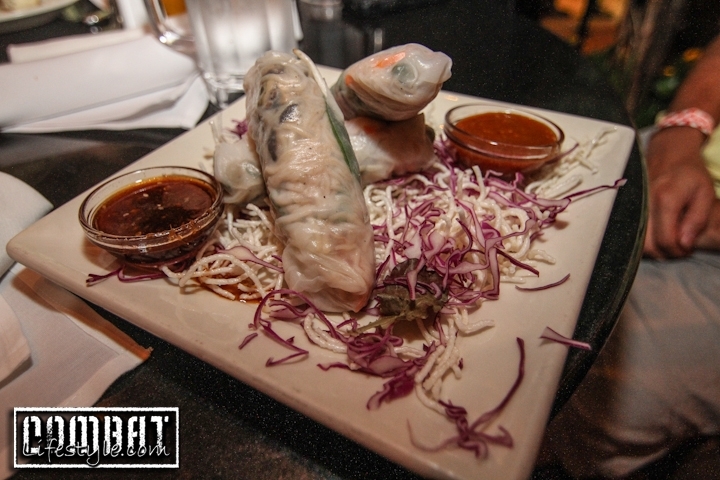 Leave your comments below!